Are you looking for a Power BI consulting service from one of Microsoft's Gold or Silver partners? You can find such services on the Microsoft AppSource portal, or search for it in this report (For a report of Microsoft Dynamics Consulting services as seen on AppSource go here). Are you looking for a competitive intelligence report to learn about your competing firms, or analyze the landscape of Microsoft partners that focus on Power BI? This report is for you. If you purchase the refreshable version, you will get two files. 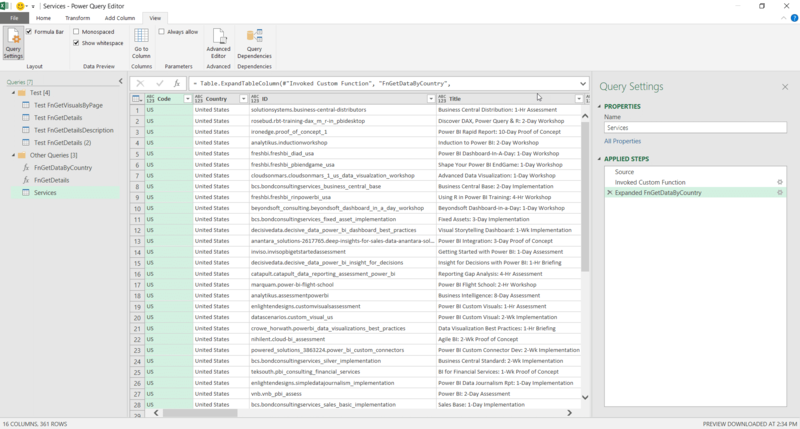 The Power BI report file (.PBIX) and an Excel workbook (.XLSX) with the Power Query queries that perform the web scraping. These queries were excluded from the Power BI report, to provide faster import time. 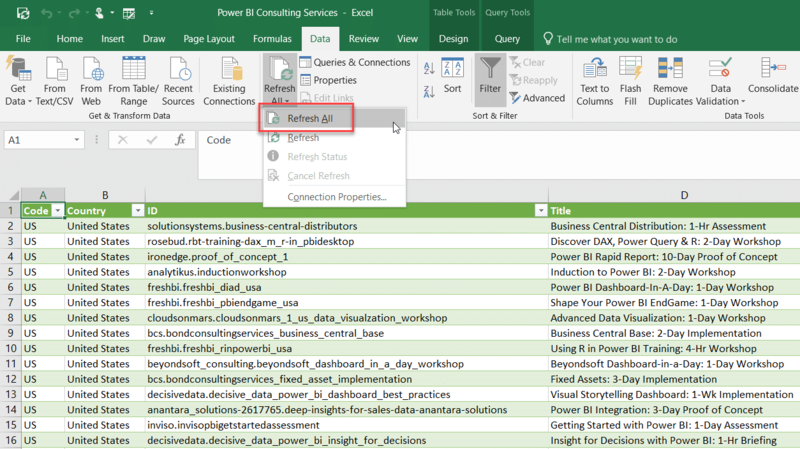 To review the queries, open the Excel workbook and launch Power Query Editor (from Data tab, Get Data). 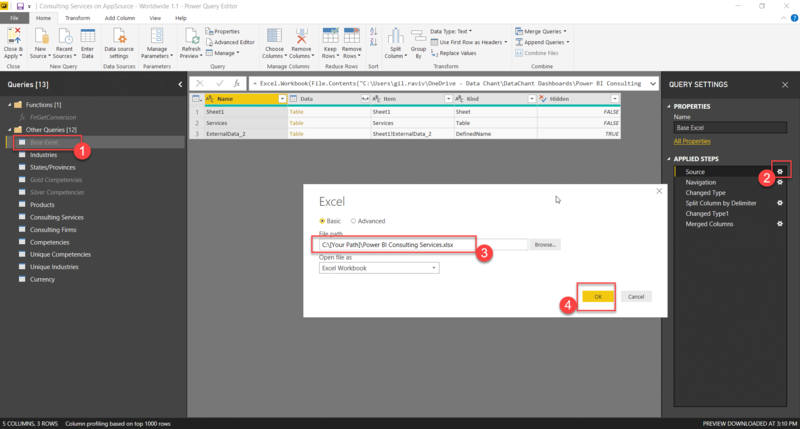 To refresh the report, follow these steps: Save the workbook Power BI Consulting Services.xlsx in your computer, and copy the path. Open the workbook, and select Refresh All. When the refresh is done, save the file. If the refresh fails, please contact me at gilra@datachant.com. If you purchased the warranty, I will provide you a newer version of this file for a duration of 12 months since your purchase date.